Primary aldosteronism is a frequent cause of hypertension, and often results in severe and very difficult to control hypertension. 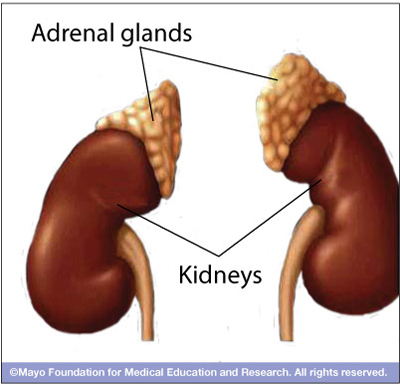 Common causes for primary aldosteronism include bilateral adrenal hyperplasia and aldosterone-producing adenoma, with rarer causes including unilateral adrenal hyperplasia, bilateral adrenal adenoma and glucocorticoid remediable aldosteronism. The Division of Nephrology, Hypertension and Transplantation offers comprehensive evaluation and management of patients with primary aldosteronism. Evaluation includes screening, confirmation of diagnosis, determination of relative risks and benefits of medical versus surgical therapy, evaluation of appropriateness of surgical therapy, and comprehensive follow-up of patients with primary hyperaldosteronism.